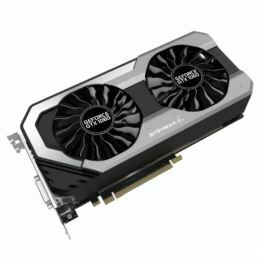 The revolutionary Palit JetStream series of graphics cards features advanced innovative cooling and an optimized product design to deliver the ultimate gaming performance. As the latest and the next generation NVIDIA Pascal architecture features power efficiency, gaming experiences and latest gaming technologies, the Palit GeForce®GTX 1060 JetStream series guarantee gamers cutting-edge performance and a explosive new gaming experience. The colour lighting from RGB LED can be changed in accordance with graphics temperature. The temperature can easily be identified by different colors from the external appearance of the graphics card. Gamers can choose from 16.8 million colors to suit their own style and preferences.